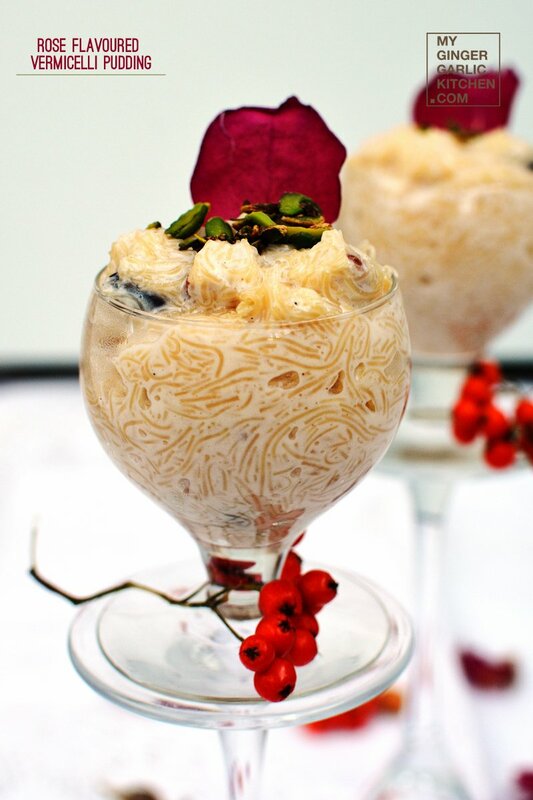 Rose Flavored Vermicelli Pudding aka ‘seviyan kheer’ is a very delicious and popular Indian dessert. 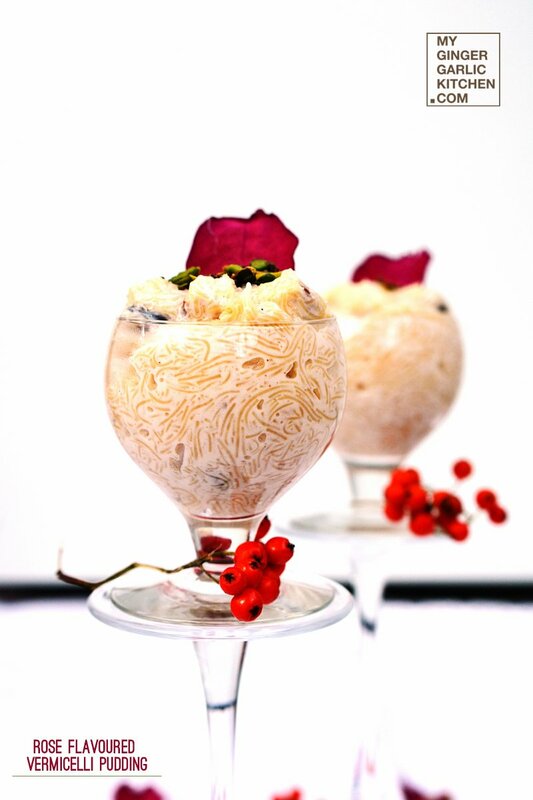 This pudding is prepared with thin vermicelli milk, sugar, and rose water. 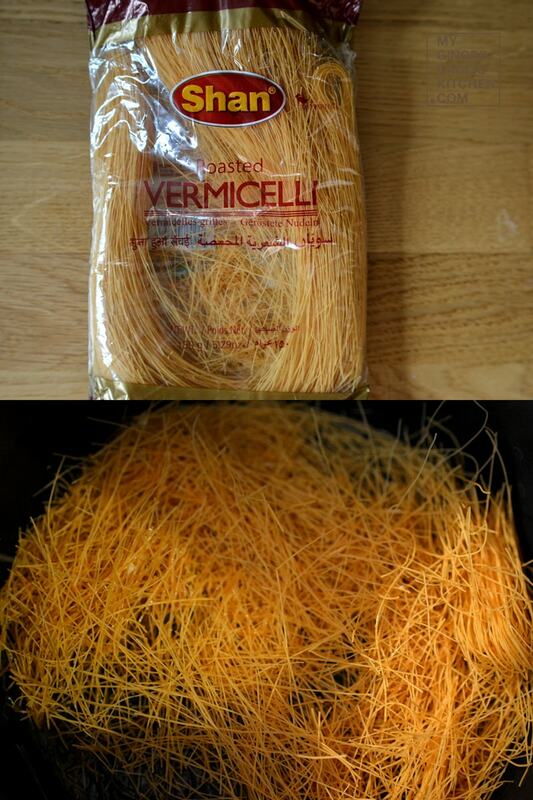 I am using pre roasted fine vermicelli, which is easily available at any Indian grocery store. 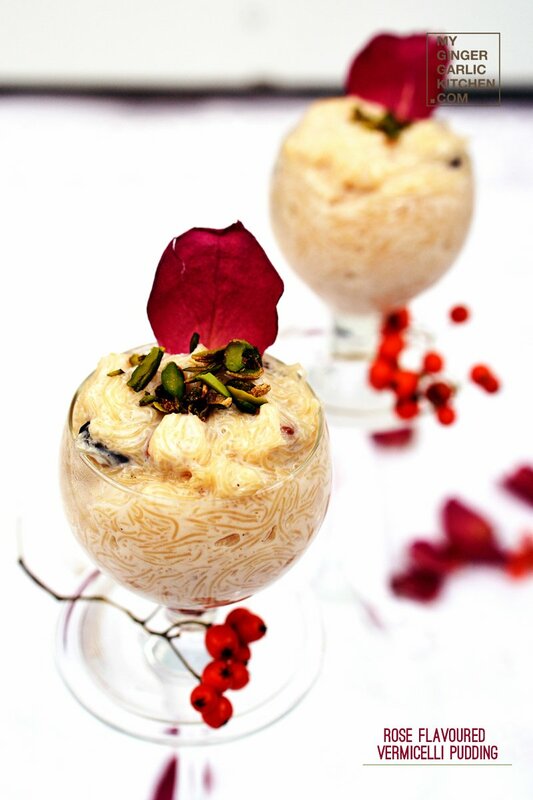 Rose Flavored Vermicelli Pudding aka 'seviyan kheer' is a very popular Indian dessert. 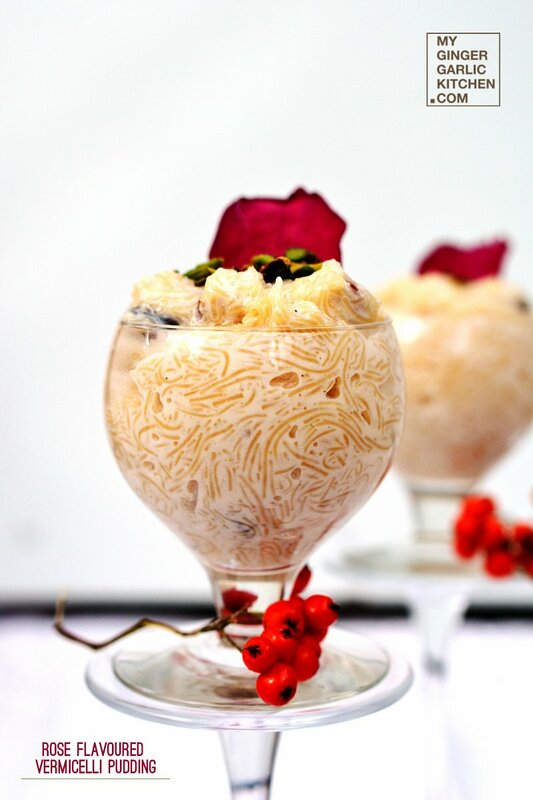 This pudding is prepared with thin vermicelli milk, sugar, and rose water. I am using pre roasted fine vermicelli, which is easily available at any Indian grocery store. However, if you can’t find any roasted thin vermicelli, any thin noodles can be used for this purpose. The milk used in this recipe reduced on medium heat, which makes it real thick & creamy and provides a consistency like custard for this dessert. 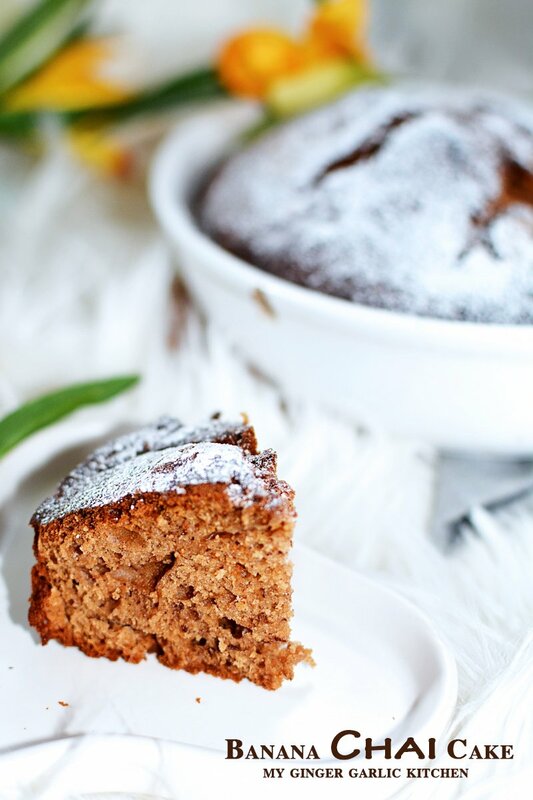 This dessert can be served warm or chilled. I prefer to serve it chilled, so I kept it in refrigerator for few hours before serving. 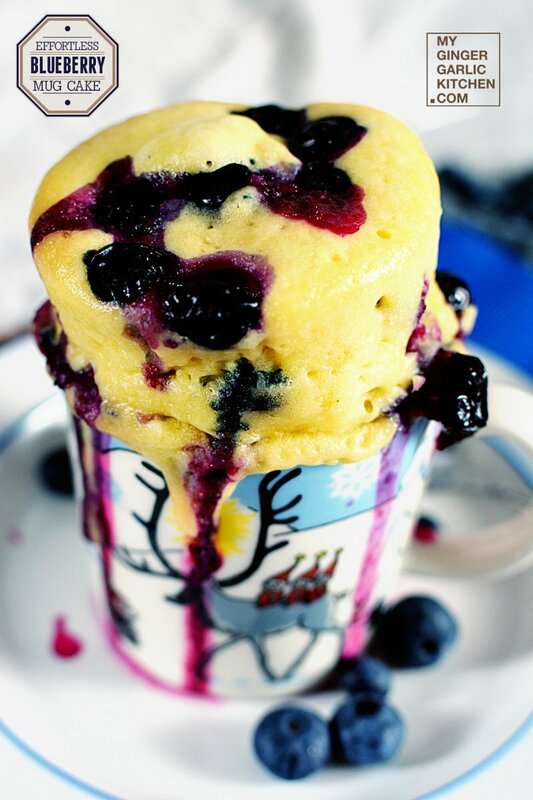 This is a deliciously creamy dessert, and also a great way to end a full Indian meal. 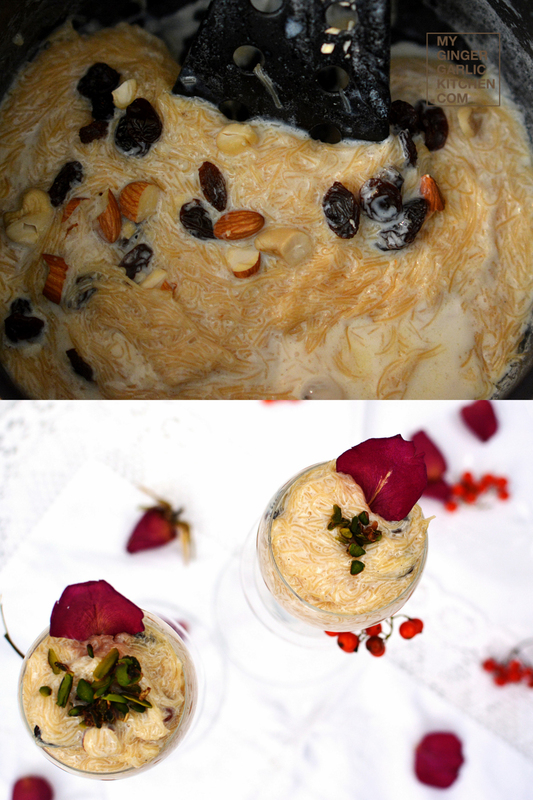 Let’s learn to make Rose Flavored Vermicelli Pudding in easy to understand quick steps. Heat a pan, and add 1 tsp clarified butter to it. Add broken vermicelli and roast for a minute. Heat another pan, and add milk to it. Once the milk has reduced, add the roasted vermicelli to the milk and cook on medium heat for 10-15 minutes, or until the vermicelli is soft. 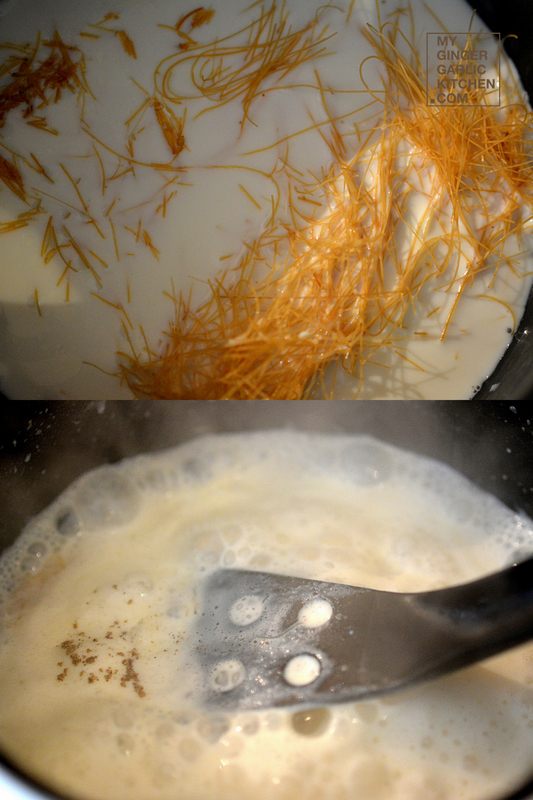 Add sugar, cardamom powder and cook for 5 minutes. Remove from heat, add rose water along with almonds, cashew nuts, and raisins. Mix well, and let it cool. Pour into a serving glasses. Garnish with chopped pistachio and rose petals. 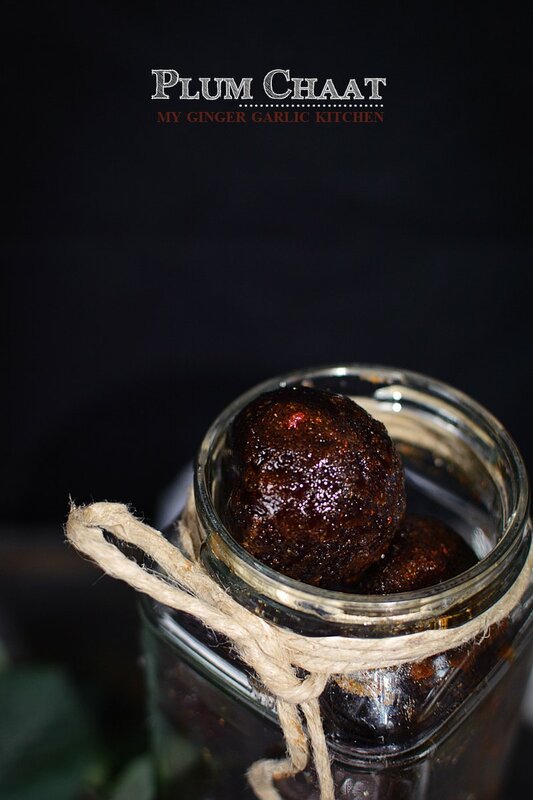 Refrigerate for 4-5 hours. Served chilled after main meals. Enjoy! Heat a pan, and add 1 tsp clarified butter to it. Add broken vermicelli and roast for a minute. Once the milk has reduced, add the roasted vermicelli to the milk and cook on medium heat for 10-15 minutes, or until the vermicelli is soft. Remove from heat, add rose water along with almonds, cashew nuts, and raisins. Garnish with chopped pistachio and rose petals. Refrigerate for 4-5 hours. Served chilled after main meals. Enjoy!